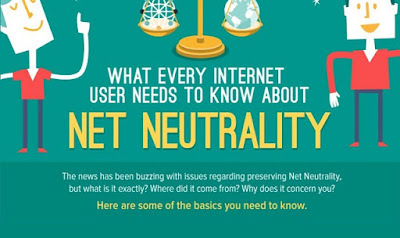 Net neutrality is a term that is frequently used in the media these days. This makes many wonder what is net neutrality and why is it important? If net neutrality is something that will make a difference to every individual who uses the Internet. Let us answer these and a few more answers in the following article. Net neutrality is a concept where service providers are barred from blocking, censoring, as well as discriminating against any content provider. This means all companies have an equal chance to bring their content to the homes of every user. Not a single company is favoured over the other or blocking websites based on their business or political views. Is There Any Government Involvement? Yes. There are rules made by the U.S. Federal Communications Commission (FCC) that says cable and phone companies cannot manipulate traffic. They cannot create fast lanes wherein certain videos, music or data is downloaded fast and slow lanes to block or slow the traffic to certain websites. Under the Obama administration, there have been considerable changes in the FCC’s stand over Net Neutrality. They reclassified the Internet as a utility under Title II in February 2015. Thus, all Internet Service Providers (ISPs) are called as ‘common carriers’. This has made sure all common carriers are subjected to government intervention so that the masses have a fair and equally accessibility to the utility, that is, the Internet at a fair rate. What are Internet Fast Lanes? Internet fast lanes have been the main cause of debate in Net Neutrality. It is the ability of ISPs to create a different connection at a premium rate for major website content providers such as Netflix or YouTube. Many ISPs as well as OTT content providers lobby for fast lanes. The Internet fast lanes will make sure their services get a priority over others. This will allow them to double-charge the bandwidth from consumers who are already paying for the connection. This will definitely affect consumers as well as smaller companies who have to pay to be in the game. How Will Net Neutrality Affect An Individual Consumer? Those who are for net neutrality want all content on the Internet to remain accessible equally to all users. This means streaming video, audio as well as downloading content should be at more or less equal rate. This will also help start-ups and entrepreneurs get a chance to grow without any influence from manipulating ISPs. Thus, net neutrality will ensure all legal content will be treated equally. No consumer has to pay extra charges to avail special services such as fast lanes to view certain websites or videos. The Internet should be a utility to some extent just like water and electricity. This is because the Internet has become a critical aspect in terms of education, employment as well as business. Thus, a free and open Internet will only be a logical solution to allow growth of every aspect of an individual consumer as well as small and medium-sized businesses and start-ups.